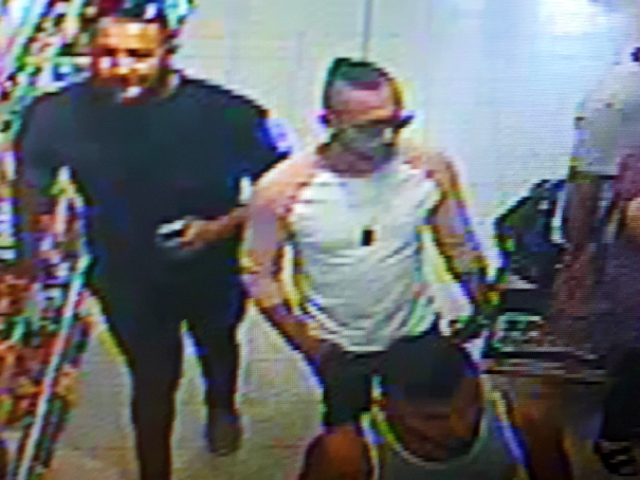 Police are seeking three men who may have information about a shocking acid attack on a three-year-old boy in Worcester, England. The toddler was targeted at 2:15 p.m. in a Home Bargains store on Shrub Hill Retail Park, Tallow Hill, on Saturday 21st July, according to a West Mercia Police statement. “At this time we are treating this as a deliberate attack on a three-year-old boy,” confirmed Chief Superintendent Mark Travis. “At this time, the motive for the attack is unclear. Officers are working hard to establish exactly what happened and what the substance involved was. The boy was taken to hospital with “serious burns to his arm and face” after the attack. It should be noted that the police have not officially named the men pictured as suspects, for now only stating that they “would like to speak to” them, as they “may have information vital to our investigation”. An unnamed 39-year-old from Wolverhampton, once the constituency of the late anti-mass migration campaigner Enoch Powell, has already been arrested on suspicion of conspiracy to commit grievous bodily harm in connection with the attack. Crimes of this kind used to be incredibly rare in Britain but have become a huge problem in recent years, with police admitting that the country has become a “global capital” for the crime with “one of the highest rates of recorded acid and corrosive substance attacks per capita in the world” and rising at the end of 2017. The issue is particularly pronounced in London under Labour mayor Sadiq Khan, with criminals based in the multicultural capital increasingly venturing out into the surrounding Home Counties and spreading the acid attack phenomenon in smaller towns and suburban areas.